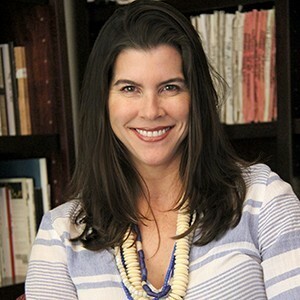 Kristin Borella is a veteran studio executive and agency publicist with more than 15 years of experience. She comes to the USC School of Cinematic Arts after two separate stints as an executive at MGM, most recently as Senior Vice President of National Publicity, from 2007 until the studio’s recent restructuring. In this role, she was responsible for overseeing all national publicity efforts on behalf of the studio’s theatrical campaigns – from unit production through a film’s release. Previously, Borella served as a Vice President of National Publicity at MGM from 2002 to 2005. In between her two MGM positions, she was a Vice President at The Angellotti Company, where in addition to supervising film publicity campaigns for studios and independent film companies, she oversaw the USC School of Cinematic Arts account. Prior to that, she was a Vice President at Bumble Ward and Associates, where she worked with top filmmakers including directors Tim Burton, Allison Anders, Gregory Hoblit, Randa Haines, Nick Cassavetes, Callie Khouri, producer Kevin Misher and writer Robert Nelson Jacobs among many others. Borella began her publicity career at the innovative boutique PR firm, Clein + White as an account executive. She is a graduate of the University of San Diego.